I may not wear Fenty Beauty’s Pro Filt’r foundation and I still think her shades could have went a little harder but Fenty Beauty’s products are like that. I love her Killawatt Freestyle Highlighters in Trophy Wife and in Diamond Bomb All-Over Diamond Veil. Fenty Beauty’s Stunna Lip Paint Longwear Fluid Lip Color in Uncensored is the best red shade since MAC’S Russian Red so I already know I’m getting her new lippie. Rihanna is dropping a new Stunna Lip Paint ($24) in a shade called “Unlocked,” a hot pink matte lip stain perfect for Valentine’s Day. Rihanna gave us a tease of the new color with an IG pic that features the bad gal in a pair of dark pink latex pants paired with a cropped pink on top of a pink convertible vintage car. The new shade will drop on February 12, 2019 on sephora.com and on fentybeauty.com. You can thank me now. Get into a Black owned spa that uses a Black owned all natural skincare line (Baddie Glow) and is having a Black History Month special. 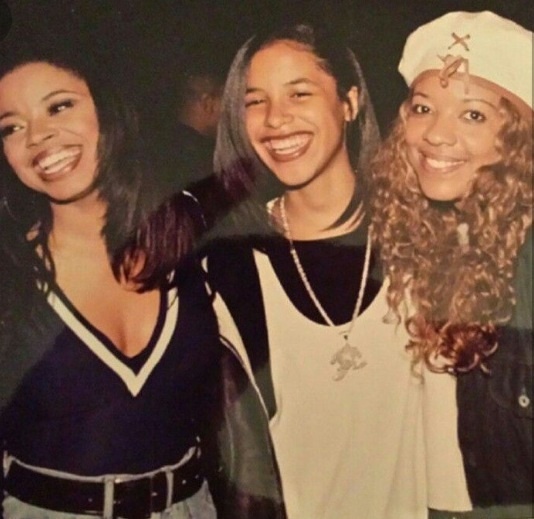 One time for all the Black Girl magic! Naked Perfection Spa was founded by Courtney Gayle, a Medical Aesthetician that stays up on the latest technology and treatments to yield great results for clients of all skin types and with a wide range of skin conditions and concerns. Naked Perfections Spa is holding a Black History Month Facial special. For $75, you can experience their NP Rejuvenation Facial which consists of a skin analysis, cleaning, exfoliation, light extractions, custom mask, corrective serums, and moisturizer. The aestheticians will then assess what each client’s next steps should be in treatment or if the client should just maintain with monthly facials. Choose between having a traditional medical grade facial or use all natural Baddie Glow products. Use the code BLKHISTORY to book your facial and follow Naked Perfection Spa on IG! Fly Beauty: Did You Know Frank Ocean's Mom made a Sunscreen for Black Skin? 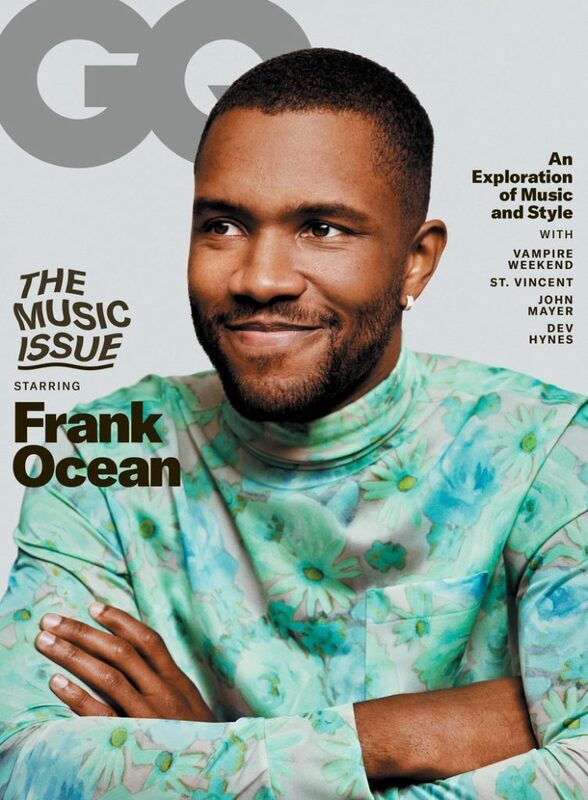 In the era where celebs are an open book, Frank Ocean keeps things mute. He just came out of social media hiding and made his Instagram public in mid-November 2018. And with a GQ cover story for the February 2019 issue, Ocean does some oversharing. He talks about his return to IG, living in New York City and skincare. What I took away from his interview is that men have no idea about skincare. Being knowledgeable about skincare is why Pharrell looks like a vampire who doesn’t age and other men are out here looking like Johnny Depp. I agree, rough skin mixed with a beard is not cute. I do think Pharrell should do a skincare line for men, that would be epic. And who knew that Ocean’s mother, Katonya Breaux, created a sunscreen for black skin called Unsun? And Unsun has been out since 2016? Unsun is a sunscreen that has safe ingredients but is also slightly tinted which is great for darker complexions because some sunscreens will leave you with chalky skin. Breaux doesn’t have a background in skincare, but told The Cut in an old interview, that she put in two years working in collaboration with a lab to come up with a formula that makes sense for people of color. She also recommended that people in general keep their unclean hands off of each other’s faces, even in romantic settings. “Don’t let guys put their dirty hands on your face. I know it’s cute and it’s romantic, but make them wash their hands first,” Breaux said. Available in SPF 30, Unsun is priced at $29 for a 1.7 fluid ounce and is now available at unsuncosmetics.com. I am obsessed with natural skincare. It all started when I worked at Lush many moons ago. It was there that I learned about the goodness of natural ingredients for your skin. Like how Honey is antibacterial, so it's great for acne treatment and prevention. It’s also full of antioxidants so it’s great for slowing down aging and it is extremely moisturizing and soothing, so it helps create a glow. And how Rosehip oil is packed with beauty essentials like anti-inflammatory fatty acids and vitamins A and C which treats signs of aging and pigmentation, hydrate skin and repair damaged skin. I really made the full switch to natural skincare last year when New York’s dusty water broke out my face. Yes, I called water dusty but it’s true! I can smell the fluorine and chlorine in the water. I realized that I had to switch up my skincare routine while staying in New York for work. I went au naturel and I haven’t looked back. Here are the two Black owned all natural skincare lines that I gag for. Kaike (pronounced cake) reached out to me to be a brand ambassador last year and I am so thankful that they did. They are a fun, plant based beauty and skincare brand. Kaike believes in natural, vegan, and preservative-free products that encourage a celebration of #blackgirlmagic. I live for their Green Tea Mask + Scrub! 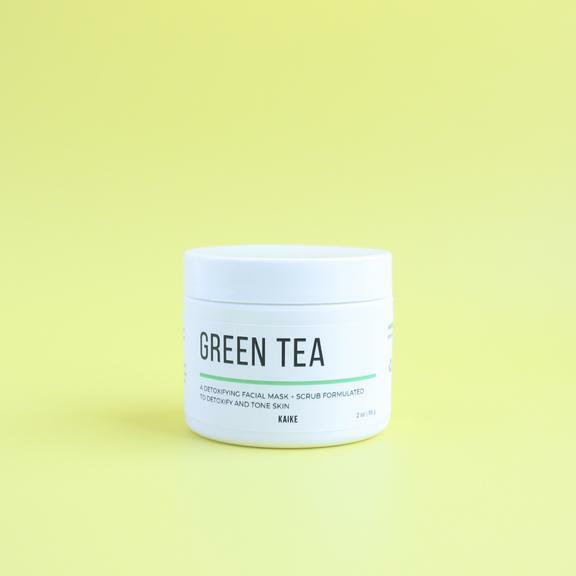 Applying green tea to the skin can really improve your complexion by lessening excess oil production, balancing the skin’s PH, and calming redness. I use Kaike’s Green Tea Mask + Scrub whenever I feel a breakout coming on and I need to calm my skin. This mask stops any yucky- not- cute blemishes in their tracks and because of that, I fan girl for Kaike. True story, my barber, my mom and my eyebrow lady never believe when I’m barefaced. My skin looks that good with Baddie Glow. Randomly found on Instagram, creator Jessica Walker has to be the natural skincare Goddess. She had a half-off and free shipping sale in December and I legit fell in love with Baddie Glow products. I stalk her IG for more sales and new products (she just released a carrot and ginseng “Glow in the Dark- Bedtime Mask and Moisturizer” ). I brought Baddie Glow’s Honey and Orange Suckle Face Wash, Green Tea, Chamomile, Jasmine Buds & Rose Hips Face Toner, Turmeric & Honey Face Mask, and the Rose Gold Rose Water Face Mist. And all of Baddie Glow’s products are lit! The Honey and Orange Suckle Face Wash gets all my makeup off with hemp tea tree pure castile soap, organic coconut oil, oranges, organic olive oil, tea tree oil extract, organic hemp oil, Witch hazel and rose stearic acid. So many women forget the toner step, fly girls- won’t. This step is crucial! Toner gets off any extra pollutants from the day and your toner will seal your facial routine deal. Baddie Glows’ Green Tea, Chamomile, Jasmine Buds & Rose Hips Face Toner is infused with more honey, vitamin E, lemon, and green tea. I then use the Rose Gold Rose Water Face Mist which is made out of pure rose water, aloe vera, vitamin C, rosehip oil and shimmer! I legit glow after my skin routine. The Turmeric Face Mask is the truth too. Turmeric is great for anti-aging, lighten of scars and helps with brightening the skin along with the removal of blackheads and acne. Baddie Glow is just a poppin skincare line that Jessica makes in her Brooklyn house. It’s so dope! Both Kaike and Baddie Glow are Black-owned, women ran, small businesses that absolutely deserve your support and are fly girl approved. Shanice " I Love Your Smile" Wilson? 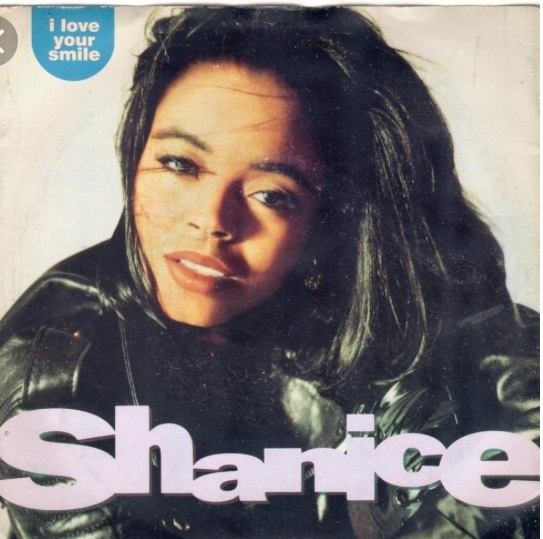 Shanice had some jams in the 90’s. No, I'm not getting paid for advertisement. I'm just a fan and all for supporting women starting a business. I love real talent and support her! I forgot to add her lipstick is also cruelty free!